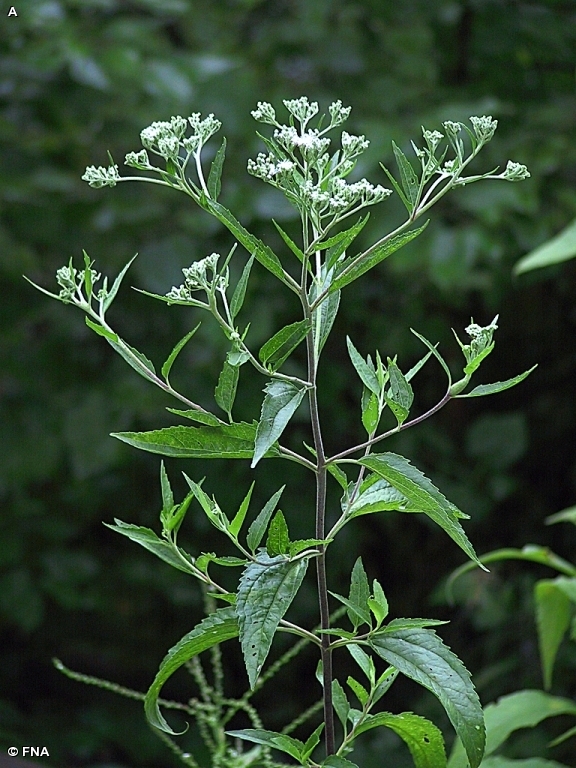 Eupatorium serotinum is a perennial herb, 40-200 cm tall, stems densely finely hairy, often grayish-purple; roots fibrous and rhizomatous, plants often colonial. Leaves opposite, stalk (petiole) at least 1 cm long hairy; blade 5-20 cm long, 2-10 cm wide, lance-shaped, dull green, sparsely hairy above, paler, hairy below, 3-5 palmate veined, margin toothed, teeth often large, sharp. Eupatorium serotinum flower heads. ©2012 Richard Spellenberg. Creative Commons Attribution-NonCommercial-ShareAlike 3.0 license. calphotos.berkeley.edu (Accessed 12/2018). 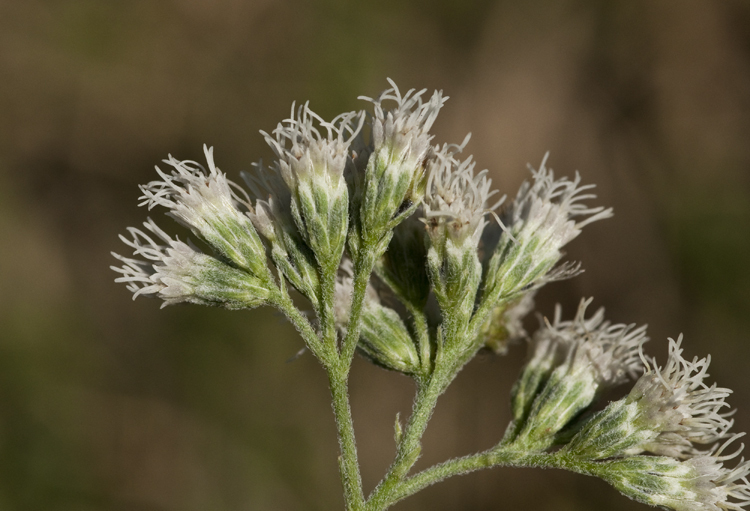 Flowers dull pinkish-white in small heads of 9-15 flowers, bracteate base 0.3-0.4 cm, densely hairy, bracts in 3 rows, overlapping; inflorescence broad, branched, Aug.-Oct. Frequency in NYC: Infrequent. (NYS S1, E). Habitat: Moist to dry open areas, sandy soil, fill. (Gleason and Cronquist 1991) and (USDA, NRCS 2006) list this as native to s. NYS but Mitchell (Mitchell and Tucker 1997) lists it as non-native.